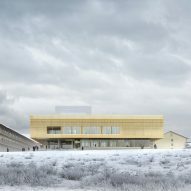 The construction of the clinic was proposed by the leading committee of Greenland's health care department, who approached White Arkitekter to create a space that "strikes the perfect balance between a calm, healing, and trustworthy atmosphere". It will be situated just a short distance from the capital's centre, sat beside the main entrance of the existing Dronning Ingrid hospital. 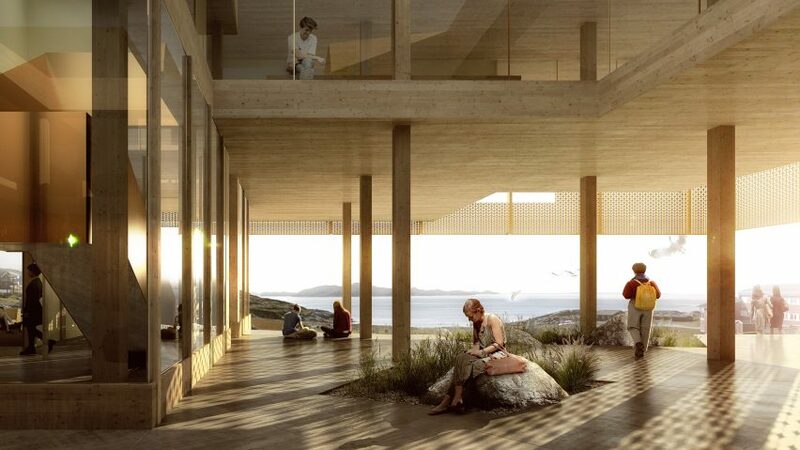 The 3,300-square-metre building will also overlook a Greenlandic fjord, providing views of the country's icy waters and snowy cliff peaks. "The architecture [of the clinic] cuts an instantly recognisable figure from both near and afar," the firm explained in a statement. The clinic's ground floor will be fronted by large panels of glazing to maximise visual connection to the landscape beyond. 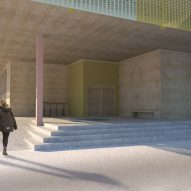 Outdoors, there will be gym, and a covered courtyard where visitors can sit and relax. Private rooms will be crafted from warm-hued timber and feature tall windows, ensuring that patients are surrounded by ample natural light. They will also be able to spend time in the clinic's greenery-filled atrium. Despite its remote location and population of just 57,700, Greenland is slowly seeing a change in its architecture and design scenes. In 2016 Danish studio Dorte Mandrup Arkitekter revealed plans to erect a climate research and visitors centre in the country, which upon completion will feature a rooftop platform for observing icebergs. Three years ago Dezeen also spoke to the country's first product designer, Liss Stender, who made national news when she created a line of graphic fabrics and crockery.